Garage floor epoxy coatings that we install are high performance garage floor coatings that provide a real world balance of economy and beauty. We can easily transform any type of garage floors into what you will see as a sensible and professional looking space that will increase the value of your home or business. 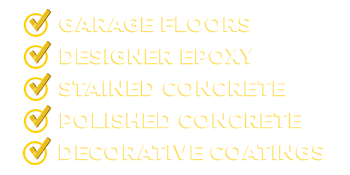 What Types Of Garage Floor Services Do We Provide? Our garage floor epoxy systems allow the customer to design any color, any finish, decorative and durable to meet your needs. We can also install your favorite sports logo or family coat of arms to make your epoxy garage floor one of a kind! Our artistic designs are all originals and will create a stunning effect to any garage floors appearance. 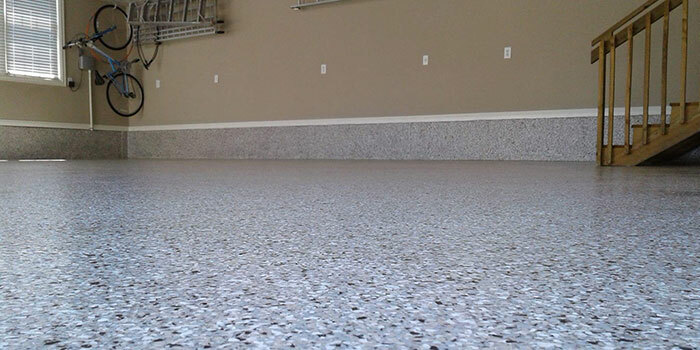 Centric Concrete Epoxy serves all of central KY with our garage flooring services. We primarily operate and are located in the greater Lexington KY area. You can find us providing our garage floor services, and epoxy coatings in Richmond, Georgetown, Versailles, Winchester, Frankfort, and Nicholasville KY.
Getting a free estimate is easy! Call us at 859-479-0332 and we’ll set up a day and time that’s good for you. We’ll stop out and take a look at your garage floor and share some options and pricing with you. Or you can use the easy CONTACT US FORM here on our site. 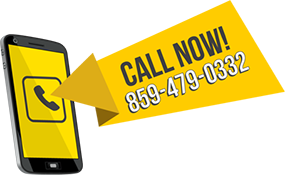 Just leave the basic info and a representative will call you about your garage floor estimate. It’s just that simple! If you’re interested in an entire garage makeover, visit GARAGE HERO.